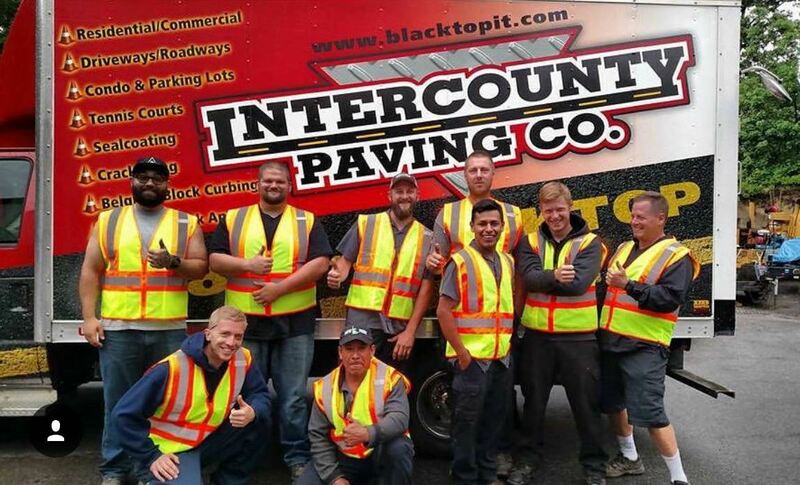 Intercounty Paving employs between 15 and 20 people. The company also has a referral program so its current crew helps the company find qualified employees. 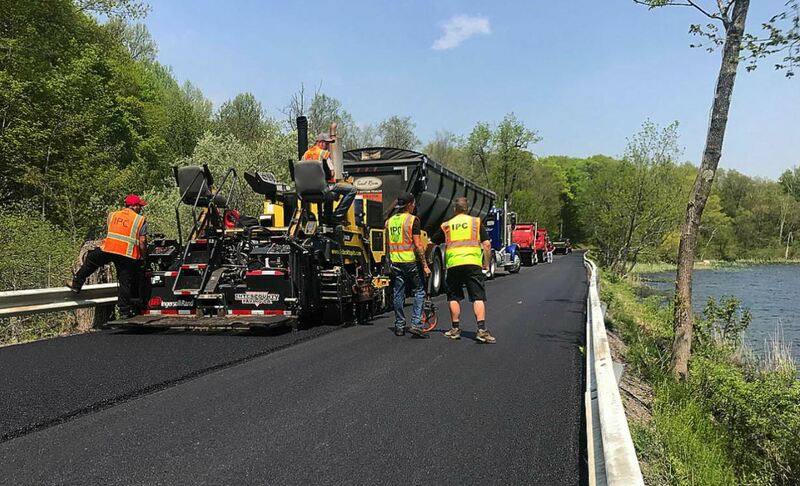 When brothers George and Mike Spano first started Intercounty Paving, Carmel, New York, in 1955, the company focused exclusively on asphalt paving. 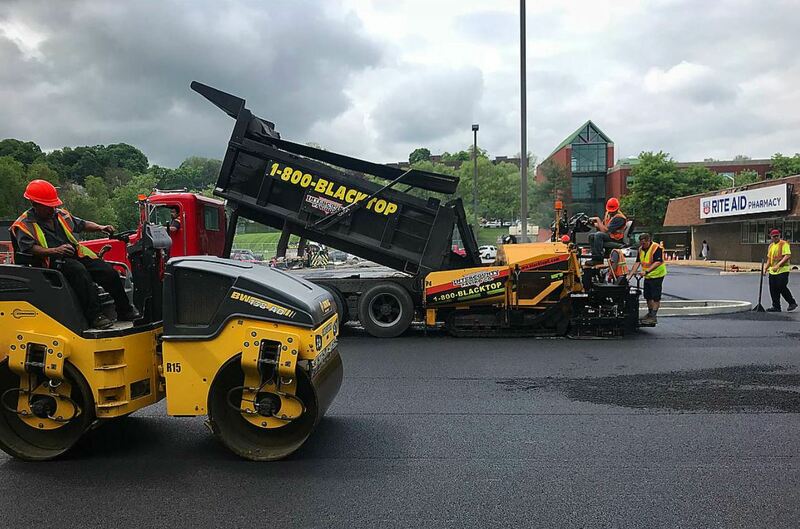 Over the past 63 years, the company’s focus on asphalt paving hasn’t changed, but the way it’s done business has changed drastically. Originally the company paved small driveways by hand. In fact, they’ve saved the ledger from 1956 for a driveway the company paved for only $50. Now, IPC is poised for major growth. Scott Spano estimates that nearly 90 percent of the company’s work is commercial, whereas only 40 percent of its work was commercial six years ago. George’s son Scott entered the business in 1980. In 1987, he bought out his uncle and in 1995, he and his wife Trish bought out Scott’s father. Today, Trish is the company’s president and Scott, its vice president. The company is now fostering its third generation of Spano leadership with Trish and Scott’s son Tyler, who worked for the company every summer throughout high school. After going away to college for two years, Tyler returned to Carmel to complete his degree while being a part of the business. “He basically came home after his second year in college and said he wanted to be involved in the family business,” Scott recalled. Tyler now heads the company’s milling and striping divisions, and is also in charge of hiring, training and development and is an integral part of the company’s sales team. Although Tyler brought in a number of business skills he’d learned in college, the company trajectory really began its transition 10 years ago, when Scott began attending expos, shows and other industry events. One of the most beneficial aspects of attending these events was the chance to meet professionals and speak candidly with paving companies from other regions. 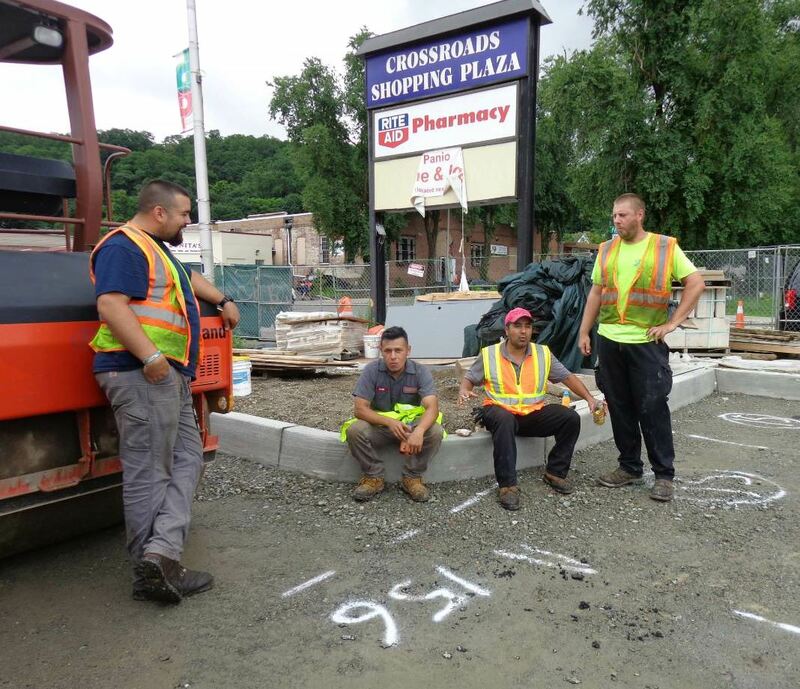 One company that IPC has established a relationship with is Esso Brothers Paving, Hazlet, New Jersey. “Esso has more than 50 employees, and we’re setting ourselves up to grow in that direction,” Tyler said. Scott added that being able to learn from one another and ask each other questions has been helpful for both companies, “though probably more helpful for us than for them,” he added. The classes and seminars were also useful, but it was often hard to put those lessons to work once paving season picked up. For example, Scott used to think he was the only one who needed to know the yield on each job. Now, everyone is aware of those numbers. “That first year, there was some pushback from our guys who thought we were fine without him and didn’t like the changes we were making,” Scott said. But, by the third day, Ball had won over the crew. Four years and four training visits later, the crew looks forward to his visits and the new crew members pick up on that general feeling. Another integral aspect of IPC’s progression was hiring a business coach from The Nolan Consulting Group. The business coach they hired typically focuses on painting companies that have hundreds of employees, and Intercounty is using the same processes for its team of 15 to 20. Another example is that Scott used to spend every day on the job site. “Now, I spend less time working in my business so I can work more on my business,” he said. On average, IPC paves around 25,000 tons of asphalt per year. Ten years after Scott first began attending industry events and training opportunities, IPC is now a part of teaching at such events. Tyler presented a seminar for the past two years at a national expo. “My seminar focused on hiring, retention and training programs built for the next generation of employees,” Tyler said. He spoke alongside Tom Esso from Esso Brothers. Tyler has also been awarded Construction Equipment Magazine’s top construction professionals under the age of 40. Some of his strategies include incentive-based programs that allow employees to grow at their own pace through a certification program. To accomplish this, Tyler and the employee make 60-day plans, which include accomplishing various tasks on the job, watching training videos, reading materials and taking a test to develop new skills. Another strategy Tyler has implemented is paying existing crew members for referrals. An employee can earn $250 up front and another $250 if the new employee is still there in six months. “No one is going to bring in a bad egg because it will look bad on them,” he said. Another strategy is simple yard signs in the region they perform work. 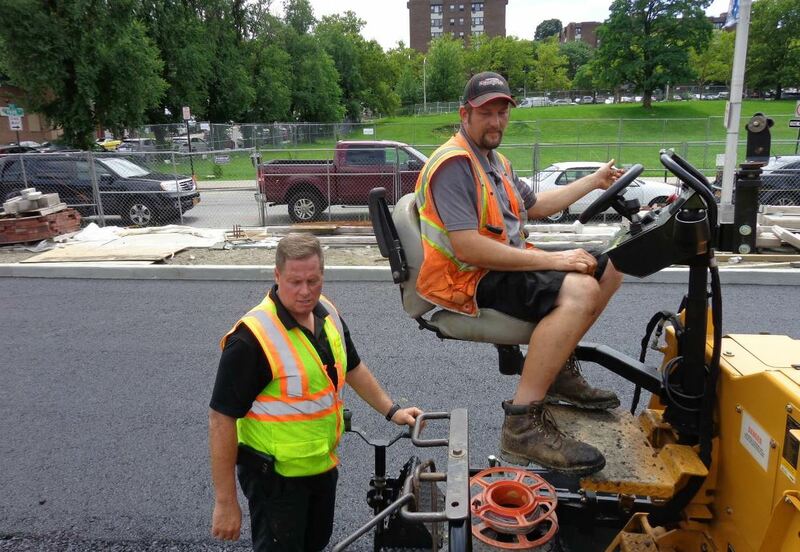 Since focusing more effort on establishing the state of the company and its future goals, IPC has switched from performing mainly residential paving to commercial paving. Scott estimates that nearly 90 percent of the company’s work is commercial, whereas only 40 percent of its work was commercial six years ago. On average, IPC paves around 25,000 tons of asphalt per year with its one and a half crews, though they’re on the verge of breaking into two crews. 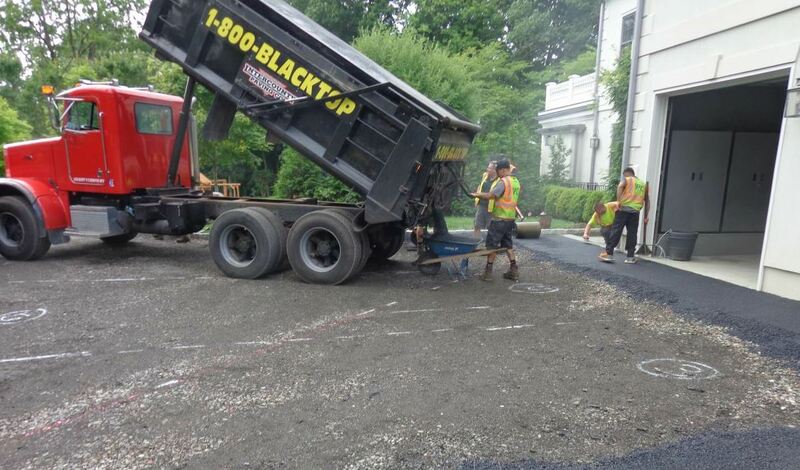 This past season, IPC completed its first township job, laying 5,000 tons of hot-mix asphalt for the town of Kent. Many of IPC’s clients are property managers and homeowners’ associations based on relationships Trish has built over the years. She said the key is to be available every step of the way, from the community meeting and educating the residents to offering a golf cart shuttle during the construction. IPC discovered that roadwork was in many ways simpler: no handling schedules with residents, no tight corners, just a straight shot forward.